many NON-PERSIAN Iranian people of their NON-IRANIC ethnicity like the Arabs of Ahwaz/Khuzestan/Arabestan (south Iran) whom they shamelessly describe as “Ethnic Iranians who merely speak Arabic”! This is pure racism and an insult to a whole people, the Arabs of Iran who are probably more Arab than most north Africans and Lebanese could ever be. This is because the Arabs of south Iran are Badus (Beduins) who less than a century ago became settled, they are from the most ancient and traditional Arab tribes that can be found in Iran like the Bani Tamim, Bani Torof, Bani Assad, Al-Ka’b, Al-Dossari etc. tribes who are living in south Iran since over 2000 years i.e. even before the arrival of Islam, in fact many Arabs were in the Persian-Sassanid Army who fought the Muslim Army at Al-Qadissiyyah, yet we see the Iranian nationalist lying and saying many Arabs of Ahwaz came just recently from Iraq! How on earth can a people who not just SPEAK Arabic but also trace their origin back to the most ancient Arabic tribes on earth be “ETHNIC IRANIANS” who merely speak Arabic. Of course this is ridicolous and shows nothing but the chauvinism of the Persian elite of Iran who are still not used to the fact that “Persia” is not very much Persian as they wish. How would they feel if others would tell them: “You are not Persians dear Persians, you arePERSIAN SPEAKING Gypsies from the mountains of Caucasia”! 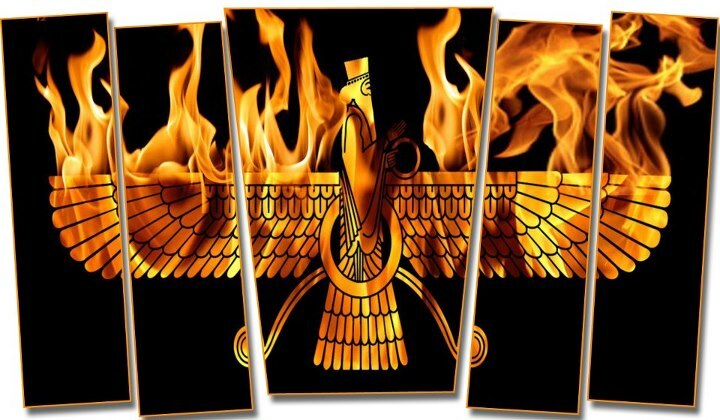 The dream of Pan-Iranism (which is mostly connected with strong anti-Islamic, pro-Majoosi-Zoroastrian elements) is a childish and illusionary concept indeed, for these Pan-Iranists (mostly Persian-Iranians with a Shia backround) include all the so called Iranian ethnics i.e. Iranic people (not to cunfuse with IRANIANS who when referred to are the people of the state Iran) like Kurds, Baloch, Pashtus etc. in their dreamworld/Empire, seems that these enemies of Islam have forgotten that these groups, especially the Baloch and Pashtun are more than just proud Muslim Iranic people, in fact the Arabs are proud of them, the Islamic Ummah is proud of the Mujahideen and lions of Afghanistan, be it the Tajiks or the Pashtun, who are both Ethnic Iranians, but certainly have NOTHING for the nationalistic, Anti-Islamic ideas of Pan-Iranism. 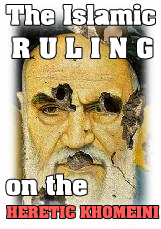 In fact even Sunni Iranians INSIDE Iran (even Persian Sunnis) oppose the Shia religion, so do the Pashtuns and Tajiks and other ethnic groups of Afghanistan, now imagine if these proud people consider Shi’ism to be the climax of heresy then what about Pan-Iranism?! Kurds’ demanding their own federal areas in the Middle East hope to have full rights, said activist and member of the Iranian Komala Kurdish party, Sahar Amiri. This entry was posted in Majoosi Sassanism UNVEILED, Rebuttals to Anti-Islam rethorics. Bookmark the permalink.